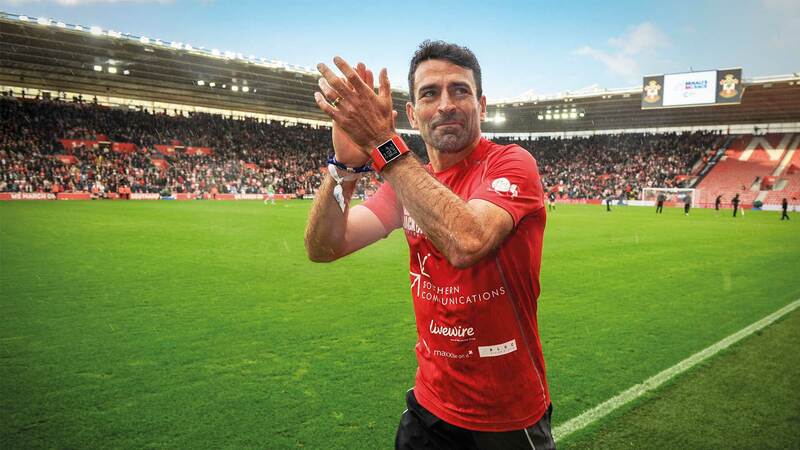 Livewire supports ex profession footballer, now turned TV pundit Francis Benali who played for Southampton football club for more than 16 years in the top flight. He has a close affiliation with Cancer Research UK and he is passionate about helping to find a cure for this dreadful disease. Franny has undertaken 2 incredible 'ultra challenges' to raise funds to help with the cost of developing immunotherapy capabilities that is considered one of the most important breakthroughs in cancer treatment in recent years. Throughout his two ultra challenges to raise money for Cancer Research UK, Livewire utilised most of our skill sets to provide a wide range of campaign support including building a website with live GPS tracking and Fitbit data integration, branded clothing for Franny and the entire support team, display stands and on event support. We provided social media and media relations services as well as helping raise funds. Our MD even ran 26 miles with Franny during a day on the first challenge.